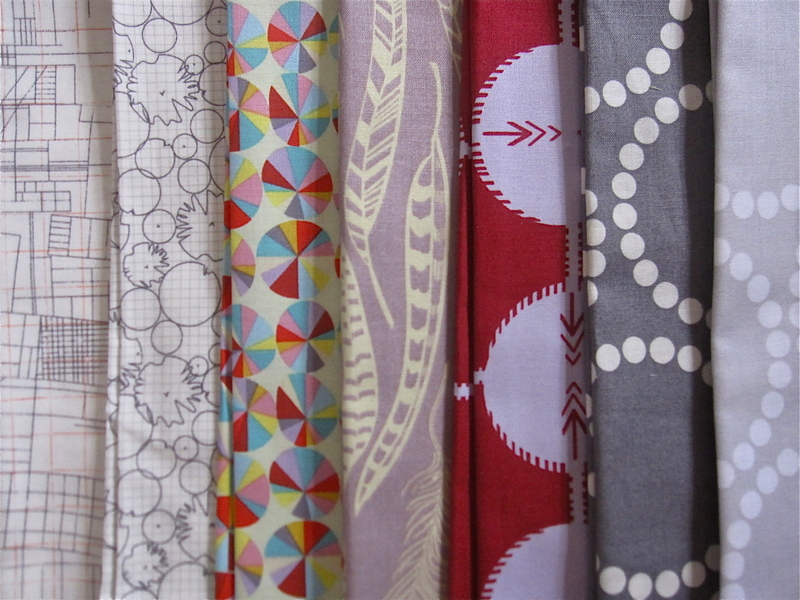 Don’t worry, I’m not going to post every time I get new fabric. 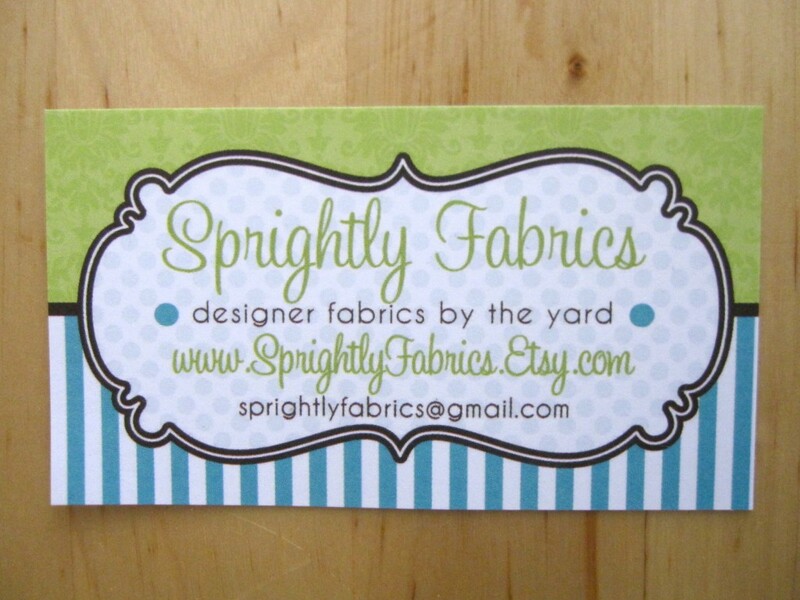 But this was a fun package to get, because it’s from Sprightly Fabrics in San Jose. 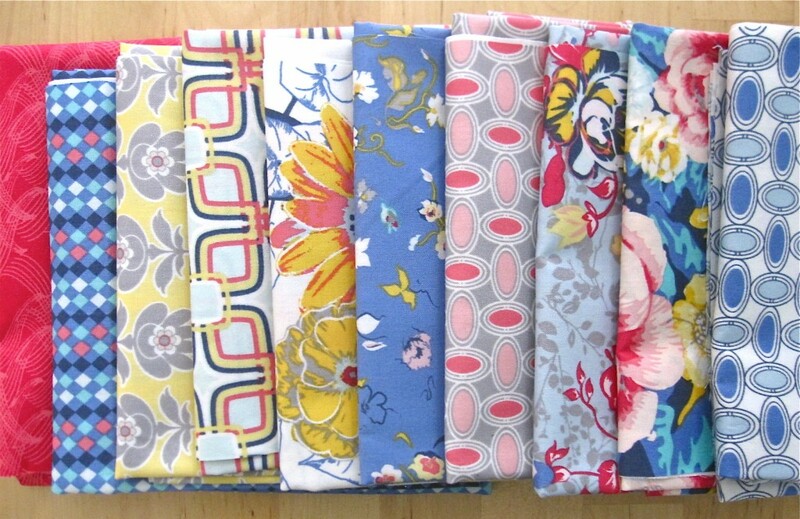 I ordered a bunch of fabric I had been eyeing forever and I also WON some!! Yesss, lucky me. I wanted to show you some of the awesome fabrics I got from their great etsy store. 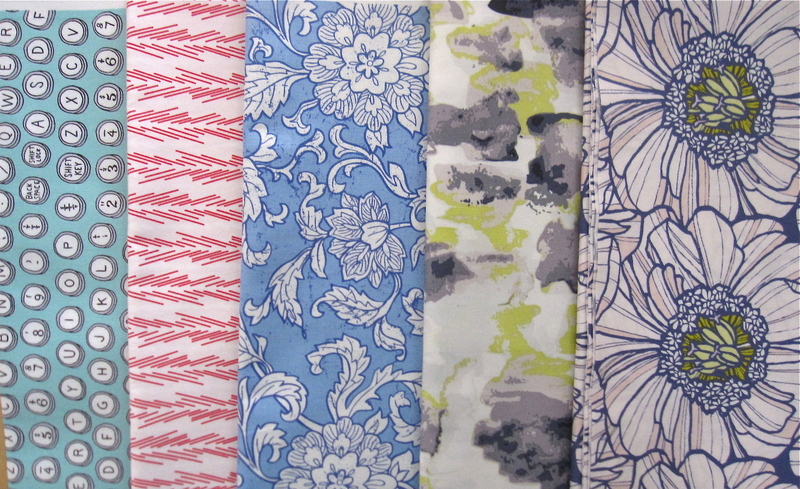 The lovely Floressence collection from Art Gallery in the magnifiscent colourway. Windham, Type, Keys. Art Gallery, Color Me Retro, Dulcette in azalea. Little Yellow Bicycle for Blend Fabrics. Vintage Summer, Gardenias in blue. Luxe in Bloom, Cascade in agate. Luxe in Bloom, Jeweled Peony in boreal. 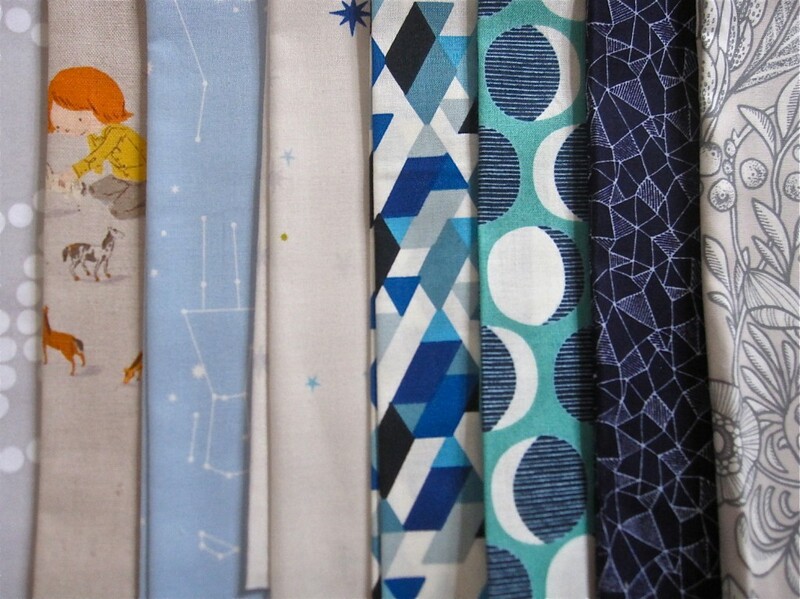 The fabric I received in their giveaway. 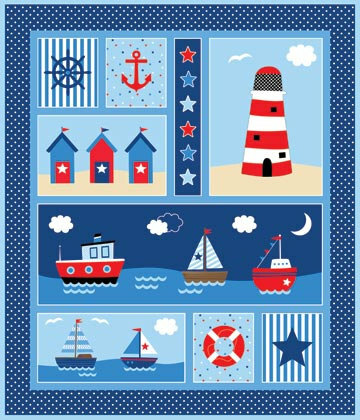 By the Sea collection by Deborah Edwards for Northcott. Isn’t it great? 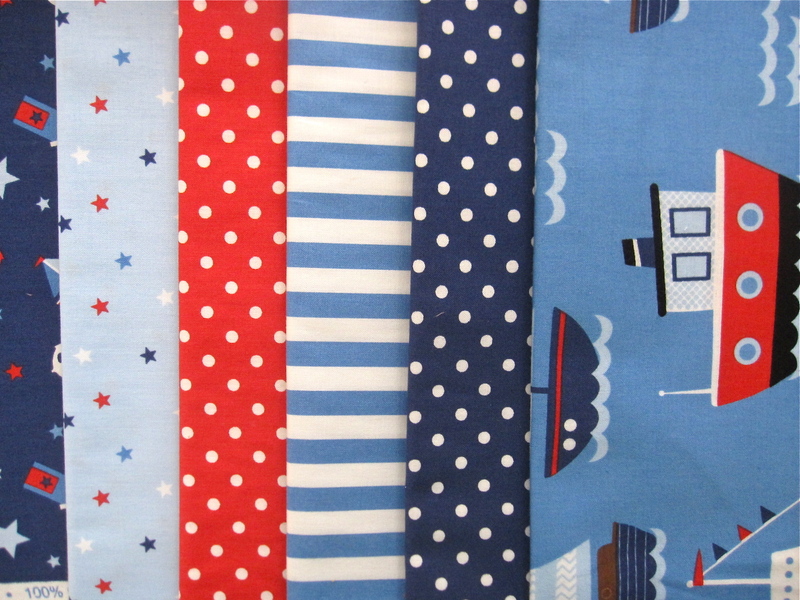 I can’t get enough of those stripes and spots – useful in everything. 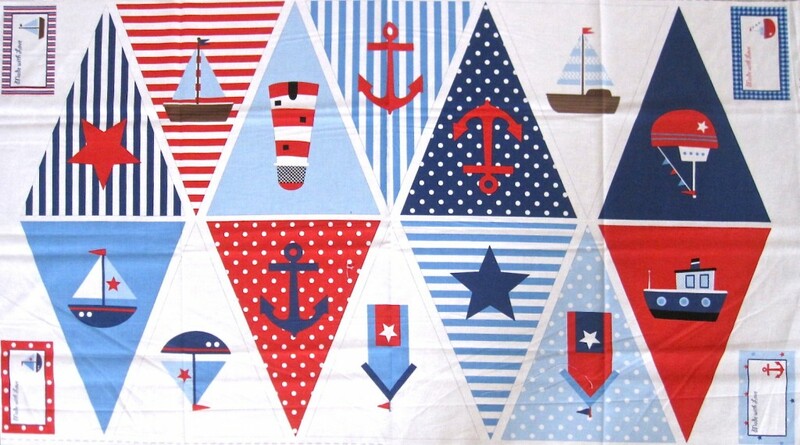 It even came with this awesome 1 yard panel that I can’t wait to use for a new boys quilt. Thank you Monique and Moses! Check out their etsy stores. 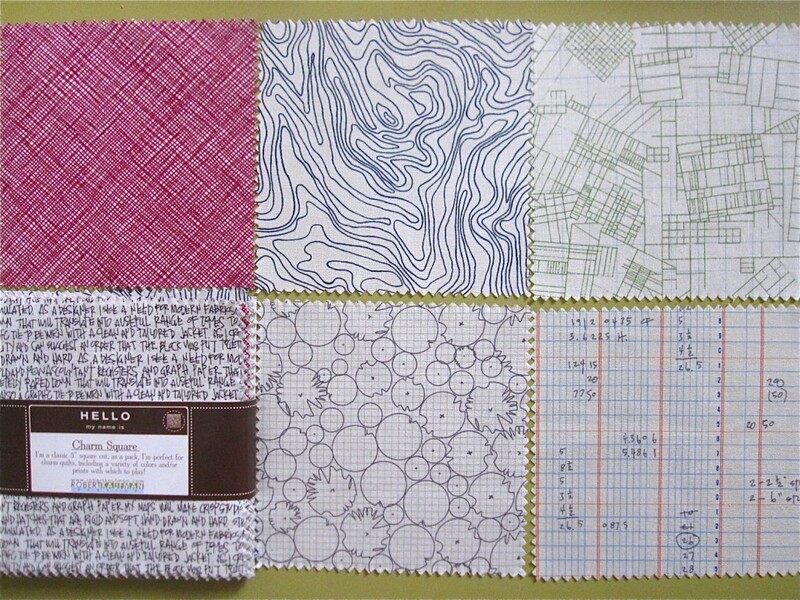 Do you get that thing where you can’t cut new fabric? Even though it’s already cut. So pretty.